While most Chevelles tend to stay in one environment (aka mostly the garage), Wendell’s 1967 Chevelle has been to Texas, New Mexico, Florida, Georgia, and even Germany! After going through a divorce, Wendell used his last $1800 to buy his Chevelle which he found in Wichita Falls, TX in 1997. 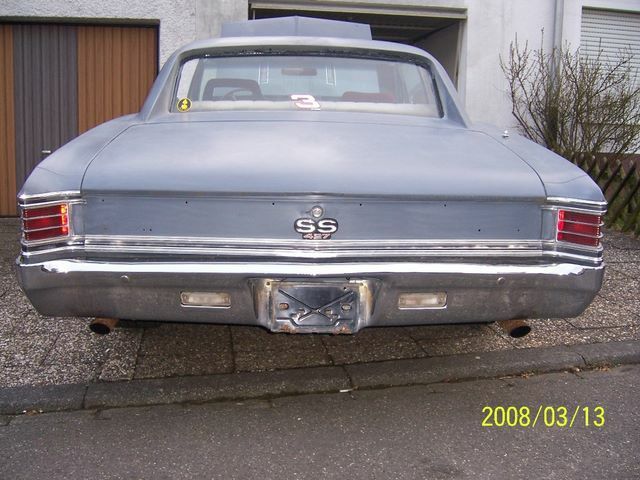 His original intent was to make the car a “semi SS” clone with 427 badges. He found the car under the same tree that it had been sitting under since 1984. The front clip was gone, the right front frame horn was bent, and all that was protecting the motor was a ratty old quilt. The windows had been rolled up right since it had been parking, so the interior held up pretty well (until Wendell started driving it). 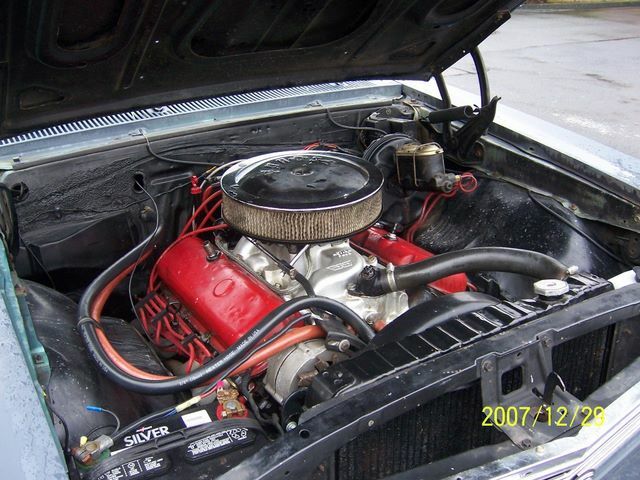 Luckily, the Chevelle came with two original 1967 Chevelle Super Sport hoods and the entire front clip as well as a pile of other miscellaneous parts. Now he just needed help putting it all together! Since Wendell had never owned a 1967 Chevelle before, he was a little lost on where to start. Fortunately, he knew of a guy named Chris that lived only a short walk away and owned a 1967 Chevelle AND a 1967 El Camino. They became friends in no time! Wendell and Chris used the 1967 El Camino to drag the new project along with the stockpile of parts back to Chris’s house. Soon after getting the car to Chris’s house, Wendell was called on temporary duty to Germany, so he ordered a few parts, packed up his stuff, and was off. While Wendell was away, Chris took it upon himself to clean and paint the motor, straighten the bent frame horn as best as he could, hammered out the front fenders and bolted them on, vacuumed the car, put the bumper on, and did a full tune up. Wendell was quite surprised to arrive home from Germany to find his Chevelle ready to fire up! They sprayed oil down all of the holes and spun the motor by hand five or six times. It started right up like it had just been started the day before! After about 30 minutes of smoking, the oil burned off and the rings re-seated. After changing all of the fluids and filters, Wendell drove the Chevelle all the way from Wichita Falls to Albuquerque, NM (a 500 mile trip) with no problems at all. The only problem that the Chevelle ever had was on the way to Texas from Miami. Around Tallahassee, FL, Wendell heard a bang and then a noise the sounded like a million sockets being thrown around in the trunk. The bolt in the rear end carrier broke and was ingested by the ring gear and caused some fun on I-10 for him. He dragged the car to Valdosta, GA, threw in a 12 bolt out of a ’71 Monte not knowing it was wider and got ready to leave for Texas. Wendell got in the car and she wouldn’t budge; the wider rear was making the tires rub due to the weight of all of his stuff he took to Miami! Some clever weight distribution fixed that and he was on hid way again without a hitch. As the years went on, Wendell swapped the frame out for a good one, rebuilt the big block and transmission, and put disc brakes from a 1970 Monte Carlo on. 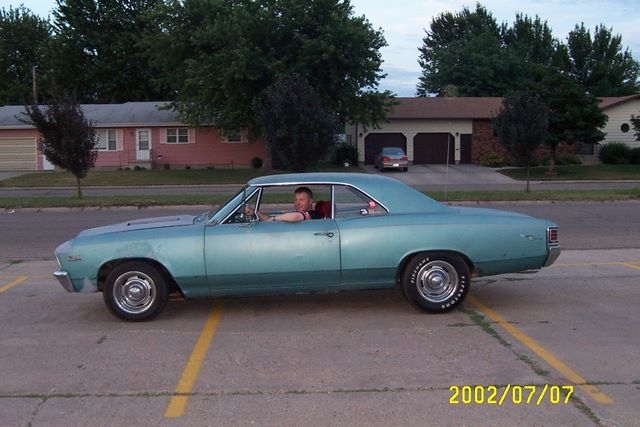 The Chevelle then became Wendell’s sole transportation for two years (good thing gas wasn’t $5.00 a gallon back then). In 2002 the Air Force decided that Wendell didn’t need to live in Texas anymore, so they shipped him off to Iceland, then Turkey, and then Germany. The car sat in storage at his grandmother’s house. 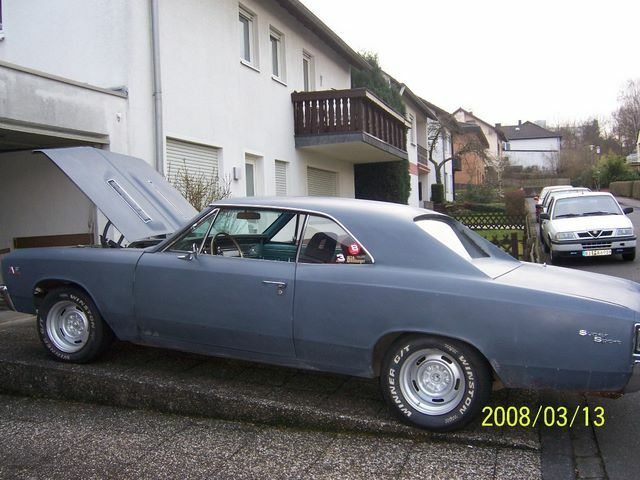 The Monte Carlo rear end was replaced with a 10 bolt out of a 1965 Chevelle in 2004 along and the TH350 was swapped out in favor of a more economical TH200-4R. Wendell and his family drove to the car to St. Louis to put it on the ship to Germany averaging 22 MPG at 70 MPH. 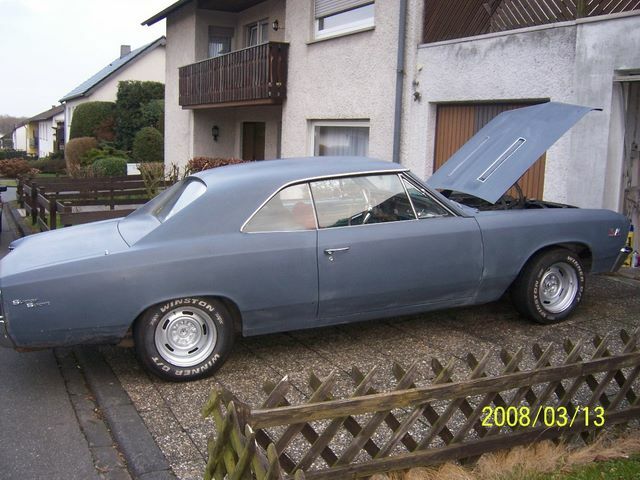 Now Wendell and his Chevelle have taken up residence in Bitburg, Germany. 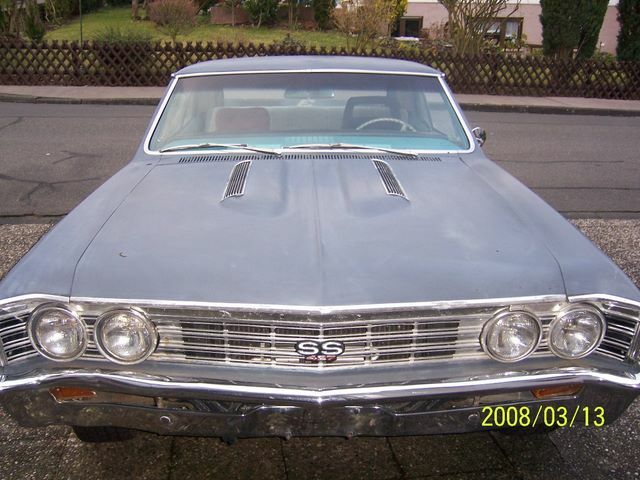 The Chevelle does quite well amongst the European sports cars on the Autobahn (until there is any type of curve)!